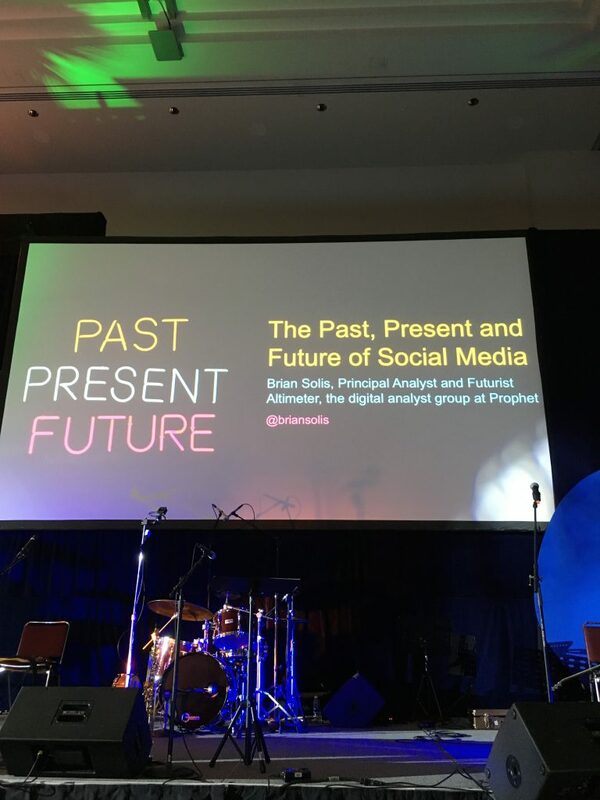 What's The Future of Social Media? 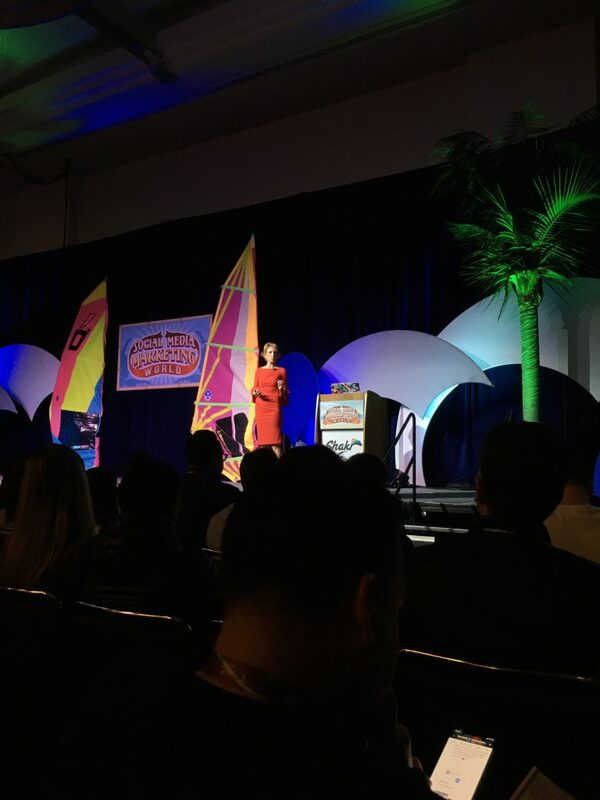 Key Takeaways from SMMW18 | Reshift Media Inc.
After returning from Social Media Marketing World’s annual mega-conference in San Diego, I thought I’d share some of my key observations. 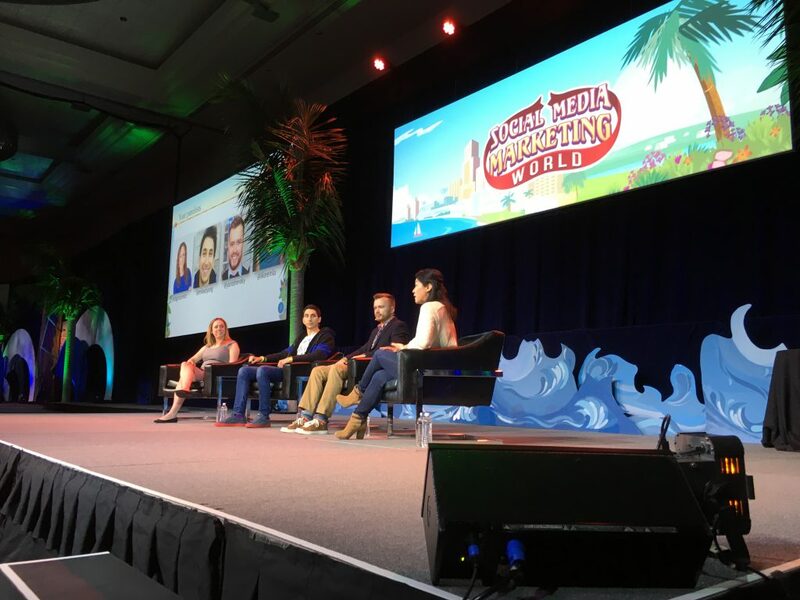 For those unfamiliar with this event, SMMW18 is the largest annual gathering of social media and digital marketing professionals in the world. 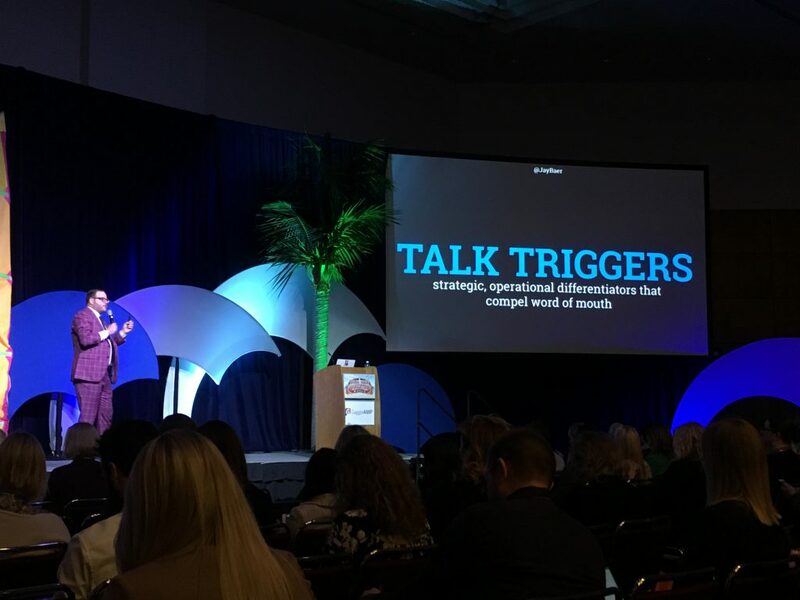 With over 4000 attendees and hundreds of sessions, it was interesting to note that there were a few decisive themes that emerged – prompting us to be mindful of these trends and challenges as we plan for the year ahead. As expected, there was lots of buzz about the changes Facebook announced in January, but it was clear that Facebook is still the number one social media platform by far. They no longer care about engagement. They’re now seeking meaningful interactions – it’s no longer about vanity metrics. The most talked about platforms were Facebook Live & Facebook Watch. The chatter was about Facebook having gone all in on Facebook Live and so should marketers. It’s all about real people talking to real people. There were numerous sessions about Facebook Messenger chatbots. The advantage being the intimate connection and relationship that you can build with your customers. Open rates are much higher than emails and CTRs are better too. With 1.3 million people now using Messenger, it’s predicted that it’s how customers will communicate with businesses in the next 4-5 years. Surprisingly, LinkedIn was being promoted by a number of the top experts as an underutilized social media platform. “Social media is the best thing that ever happened to us, because we got a voice. Social media literally changed us. How we think, how we behave, how we make decisions, what we value and why, and who we surround ourselves with. People became brands and brands tried to become people. Trust is the key. Social media is at a crossroads. It’s creating social introverts. We spend 177 minutes a day looking at our devices. That’s time that we’re spending not on something else. It’s changing how we communicate and reprogramming our brain. Social media needs to be taken back by us. The good thing about social media is it gave us a voice. The bad thing about social media is it also gave bots a voice. 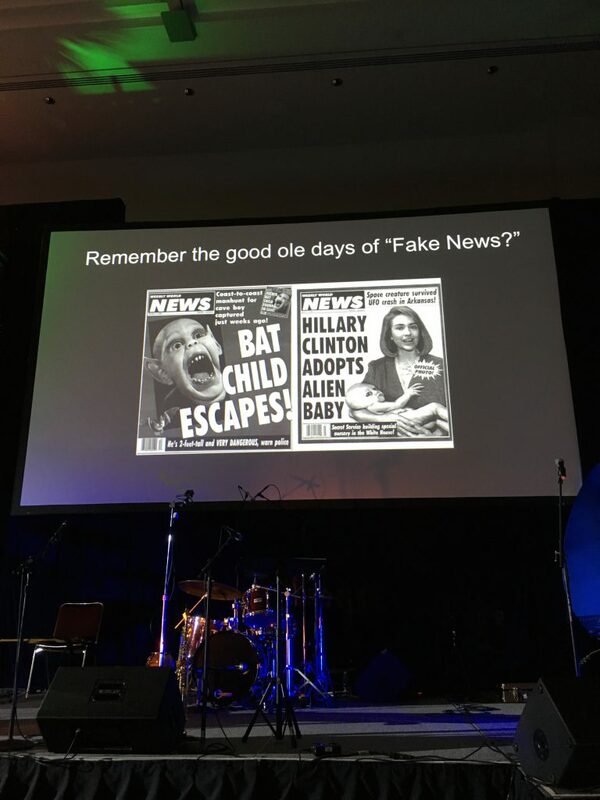 This is where we take it back. There’s a science behind influence. What it really comes down to is trust, truth, relatability, understanding, support and technology to promote life. Make social media more valuable instead of more addictive. You earn social capital, you spend social capital. It’s brought to life by what you do and what you say. You get out of it what you put into it. Social media is a human network, it’s people connected to people. Go back to the old days of community, where it wasn’t just about numbers, but it was about doing something together that made belonging matter. That’s what this is about. 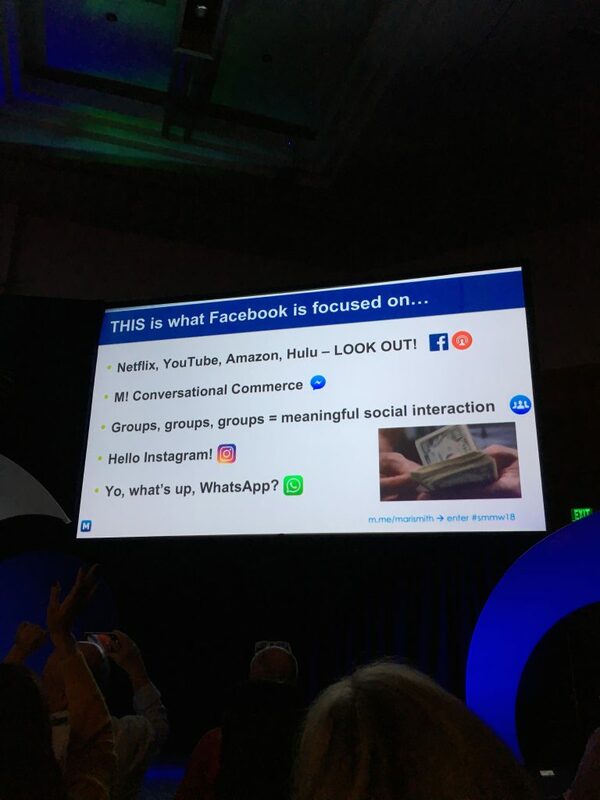 “Even though Facebook is 14 years old, there’s a profound opportunity right now and going forward in the next year for marketers. For starters, there are somewhere between 70+ million businesses on Facebook. Only 6 million are advertisers. You’ve heard about doing more Facebook video, but specifically what Facebook is doing around video ad breaks. Facebook is really focused on video. Instagram is Facebook’s next Facebook. [There’s a] big focus on Instagram stories. How many of you are doing ads on Stories? There are only 25 million businesses on Instagram and only 2 million advertising. 60% of people say that they discover new products on Instagram. You can have an in-app purchase. Groups, groups, groups. Facebook wants to enhance your experience on Facebook with meaningful interactions. New tools are coming with groups. The boost button is coming. A sale isn’t made until a conversation is started. Content is king but the engagement queen rules the house. “Change is normal. I believe in #InZuckWeTrust. Everything Facebook does has an impact on all other social media networks. I’ve been having an amazing time on LinkedIn. It’s now Facebook 2009. If someone likes my content, everyone in my feed now sees my content. LinkedIn is doing some great things, they’re just 9 years behind Mr. Zuckerberg. I love LinkedIn. Mikael: The biggest advantage is the intimate connection, that relationship that you can build with your customers. Open rates are much higher. Emails are typically 20%, Messenger is 90%. CTR’s are better too. Emails are 1-2%, messenger are 10, 20, 30%. It’s how customers will communicate with businesses in the next 4-5 years. Andrew: People have been beginning for emails for years, only to get a 20% open rate in order to re-engage. Bring your users into a more efficient channel. Molly: Both of these tools now have the ability to process transactions through messenger. It’s becoming a commerce platform. Linda: We’re messaging more than ever. We have 1.3 billion people using messenger every month. What can bots do that many people don’t realize? Andrew: There are lots of people who send the same questions and want to automate responses. You can then segment them into different groups and promote to them. Linda: Everything. People are using messenger for every step in the funnel, right down to transactions. Even post purchase, customer care is an important component. Simple things like booking appointments. Mercedes allows you to book a test drive. “We’ve been all about numbers for too long. We’ve been trained to get the most clicks, shares, traffic, likes and getting the most fans. 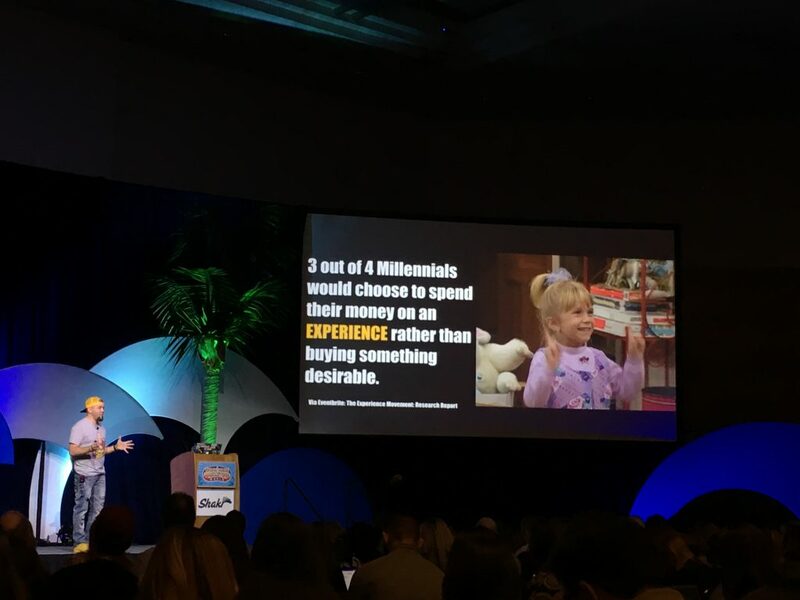 We should be thinking about who are the right people we should be targeting and be ok with smaller, highly relevant and engaged audiences that are a perfect fit for who are customers and prospects aught to be. We need to be thinking small. He has an interesting point-of-view on what he calls “Talk Triggers”. These are strategic operational decisions that we make to set ourselves apart. They are decisions we make to trigger word-of-mouth. It has to be remarkable, but not complicated. He mentioned Skips Kitchen where after you purchase your hamburger, they fan out a deck of cards and ask you to pick a card. If you pick the Joker, your meal is free. It must be repeatable. Treat everyone the same. Must be reasonable. It can’t be so big that your customers think there’s a catch or trust it. Customers are suspicious. It has to be relevant. It has to tie back to who you are and what you are. 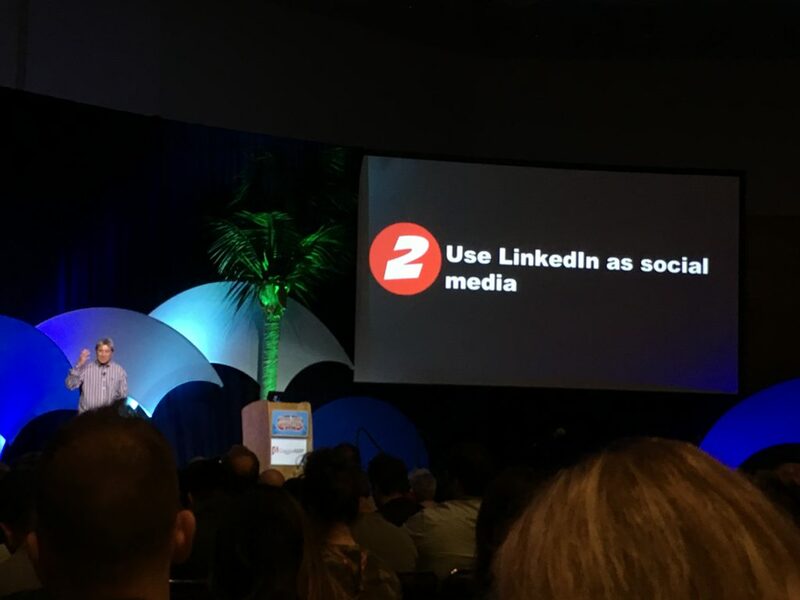 Guy was the most bullish of all the presenters, saying, “I think the most powerful social media platform today is LinkedIn! On LinkedIn, it’s much more likely that people are who they say they are. It’s unlikely that you’re putting up a false profile. I think it’s probably the most powerful social media platform today. “In my research of fans, I think this is something we need to focus on more. What about treating the people who are already in our brand so well that they can’t help but promote us and be our ambassadors.